This Sept. 16, 2014, file photo, shows former Senate Majority Leader Harry Reid at the U.S. Capitol in Washington, DC. Former Sen. Harry Reid, D-Nev., was recovering after undergoing surgery Monday at Johns Hopkins Cancer Center in Baltimore to remove a cancerous tumor from his pancreas. "His doctors caught the problem early during a routine screening and his surgeons are confident that the surgery was a success and that the prognosis for his recovery is good," the statement said. A former boxer who grew up poor in the small town of Searchlight, Nevada, Reid rose to one of the most powerful positions in American politics as Nevada's longest-serving senator. He helped propel the passage of President Barack Obama's signature health care law and blocked the development of a nuclear waste dump in Nevada. He was also a champion of his home state's gaming and tourism industry and built up a well-organized Democratic machine in Nevada. Well-wishers from both parties — including some former Republican opponents in Congress — released statements of support for Reid Monday. Republican Sen. John McCain tweeted, "From one cantankerous senator to another, sending my prayers & best wishes to @SenatorReid as he recovers from a successful surgery." "Harry Reid has never been one to shy from a fight, and this is surely no different," House Speaker Paul Ryan tweeted. "My thoughts are with Harry and his family today." 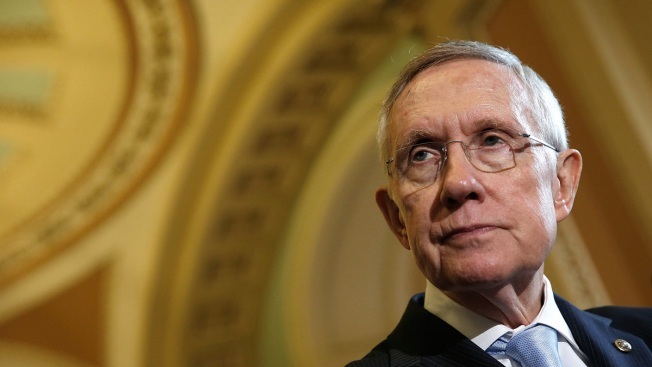 Reid's former congressional rival, John Boehner, tweeted prayers for Reid, writing: "You're a fighter, Harry. You can whip this." New York Democrat Chuck Schumer, who succeeded Reid as Senate Minority Leader, said Reid "will approach his recovery with the same tenacity that defined his public life." Democratic Sen. Catherine Cortez Masto of Nevada, who was recruited by Reid to replace him, and Republican Dean Heller, Nevada's senior senator, issued statements wishing him a speedy recovery.